Our 2015 Buick Enclave AWD in Carbon Black Metallic is the answer to your family's transportation needs. This All Wheel Drive machine has a capable 288hp 3.6 Liter V6 that is coupled with a 6 Speed Automatic transmission in order to provide impressive acceleration and near 22mpg. With a ride this refined and amenities to match, it's no wonder Buick enjoys a stellar reputation! Stunning from every angle, our Enclave Leather Group is enhanced by 19 inch wheels, automatic xenon headlights, sunroof, rear privacy glass and a power lift gate. There's colossal space inside and with features such as a remote starter, heated mirrors, tri-zone automatic climate control and an auto-dimming rear view mirror, every drive feels first-class. You'll stay in touch via IntelliLink, which includes a customizable touchscreen, voice recognition, Bluetooth phone/audio connectivity, and smartphone apps. Imagine yourself behind the wheel of this confidence-inspiring Enclave, comfortable in heated leather seats, listening to whatever music suits your mood courtesy of a sound system with iPod interface and satellite radio. You can't help but smile as you coast down the road onto your next destination. You and your loved ones will be safe and secure thanks to anti-lock brakes, stability/traction control, airbags, blind-spot warning, a rear view camera and OnStar assistance. This is the intelligent choice! Print this page and call us Now... We Know You Will Enjoy Your Test Drive Towards Ownership! 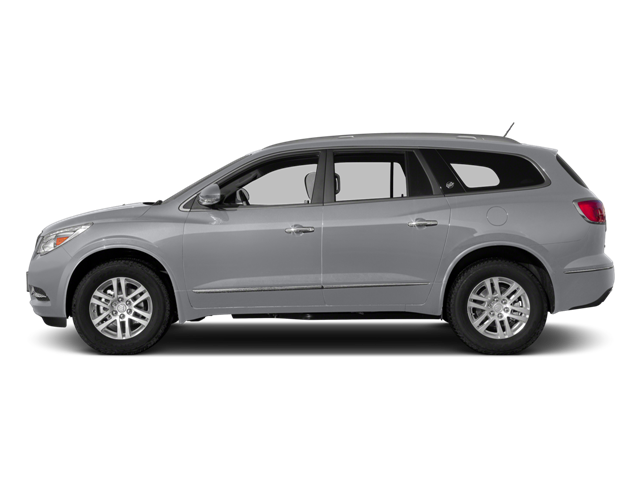 Hello, I would like more information about the 2015 Buick Enclave, stock# 15777A. Hello, I would like to see more pictures of the 2015 Buick Enclave, stock# 15777A.